Applicants that have completed a Program at an Indiana college or university will have their licenses recommended by the licensing advisor from their college/university. Do NOT apply prior to your graduation. Licenses cannot be issued if applied for prior to your graduation date. Valid CPR card from IDOE approved provider. Licensing Fee Information: Click here. Indiana’s process for applying reciprocity to out-of-state license holders changed in 2016, making the process much easier. If you hold a valid out-of-state license and have completed an NCATE/CAEP accredited or state approved teacher preparation program in another state and want to obtain an Indiana teaching license, or if you are from another state and do not hold a teaching license but would like to obtain an Indiana teaching license, there are licensure paths available for you. Please note, however, that Indiana requires an applicant to pass a content (subject matter) licensure test in every content area that will appear on the Indiana license issued. In content areas in which you have not passed a test, you may be eligible for a one-year temporary reciprocal permit if you hold a valid out-of-state license, on which you may teach while meeting Indiana’s testing requirements. Eligibility for the reciprocal permit means that both some of the Indiana requirements for licensure have been met and one holds a valid (unexpired) out-of-state license. Reciprocity does not obligate Indiana to waive certain deficiencies, nor to exempt individuals from requirements set forth by Indiana administrative law/rule. Also, there are seven licensure content areas which cannot be added to an Indiana license or transferred from an out-of-state license if the way that content area was obtained was through testing alone. In these seven areas, completion of an approved program of coursework is required in addition to testing. These areas are: English Learners, Exceptional Needs, Communication Disorders, Elementary Generalist, Early Childhood Generalist, High Ability and Fine Arts (visual art, music, theater). If you were issued a license in another state in one or more of these seven areas through testing alone and you have not completed a program of coursework in the content area, you may be eligible for a temporary reciprocal permit on which you can teach while you meet Indiana’s coursework requirements. Indiana also requires all applicants to complete CPR/Heimlich/AED training, including hands-on skill practice on a mannequin in person with an instructor and suicide prevention training. Depending on your application path and type of Indiana license being issued the timing of these required trainings varies, but you may be required to complete these trainings in order to submit your application. If you completed an NCATE/CAEP accredited or state approved teacher preparation program in another state, you hold a valid teaching license from that state, and you were required to pass a content (subject-matter) test to obtain that license, Click Here. If you completed an NCATE/CAEP accredited or state approved teacher preparation program in another state, you hold a valid teaching license from that state and you were not required to pass a content (subject-matter) test to obtain that license, Click Here. If you hold a bachelor’s degree from a regionally accredited institution but you have not completed a teacher preparation program, Click Here. All documentation must be provided (uploaded) together in the application. If additional documentation is needed, your application will be returned to you. Applications marked as Additional Documentation Required will be held for 90 days, after which they will be closed. You will be required to apply again and submit another fee. Valid out-of-state license or certificate issued by a government agency, or a statement that no valid license or certificate is held. Provide both instructional and administrative licenses. Educational experience verification letters signed by employers on letterhead stating position and number of years of experience. To be considered for an Administrative license, you must provide verification of two (2) years instructional experience. Obtain an official transcript for your own records and upload to the application. 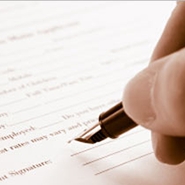 The signature of the registrar must be visible. Unofficial transcripts, diplomas, and grade reports are not accepted. Electronic transcripts: ensure the document is not locked, expired, or password protected. Paper transcripts: scan each transcript double-sided into one PDF file. Please do not mail transcripts directly.